I was wondering what to do for my post this month and happened to glance at a silver ring given to me by my dear friend Mary, when I visited her in the States, recently. It's designed like a Celtic knot, combined with triskelions, and for me, represents the 'power of three' symbolising the friendship between her, our late much missed friend, the talented American author Sharon Donovan, and myself. This made me think of the research I did when writing 'Dancing with Fate', set in 5th Century Wales. I enjoy finding pictures for my posts, and among some of the pictures I found in my file for the story, along with Greek gods and goddesses and war chariots, were Triskelkions and Celtic knots. 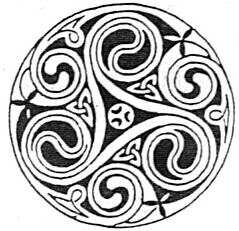 These designs are much used in Celtic jewellery and, of course, the traditional Welsh carved wooden LoveSpoon. It represents the concept of completion and progress. The symbol looks like a three legged wheel. There are basically two different components or meanings of the symbol. According to the first derivation of the meaning, the triskelion, represents actions, cycles, progress, revolution and competition. 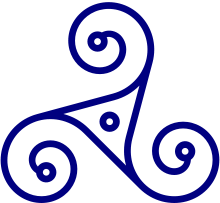 In all, the triskelion was a representation of a sense of advancement. The three legs or rather, the limbs of the triskelion often had several different meanings. The symbol was often used on armours, clothes, as a decorative pin for the clothes and also in jewelery. The meaning of the three legs, varied according to the person who was wearing it. Some of the prominent combinations of the meanings, are as follows: 'Spirit, Mind, Body', 'Father, Son, Holy Ghost', 'Mother, Father, Child', 'Past, Present, Future', 'Power, Intellect, Love', 'Creator, Destroyer, Sustainer' and 'Creation, Preservation, Destruction'. They can also represent The Otherworld: Where spirits, gods and goddesses live, The Mortal World: Where we live,along with plants and animals, and The Celestial World: Where unseen energies live and move about. Like the forces of sun, moon, wind and water. 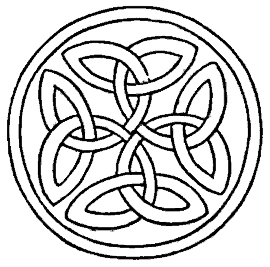 Celtic knots are perhaps the most notorious and recognizable artwork in Celtic history. 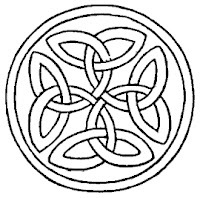 They started appearing in history after about 450 AD.The Celtic knot symbol, is also referred to as the mystic knot. 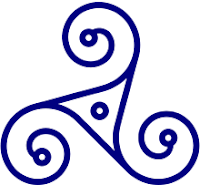 Interesting as I found the triskelion and Celtic knots to be, they added very little to my story, and, indeed, did not even find their way into the narrative. A perfect example of how many happy hours can be spent finding information which has little or nothing to do with the subject one is supposed to be researching for one's novel. There was a wealth of information I filed away, on clothing, jewellery and weapons which were used in Wales in the 5th century, along with similar information for their Greek counterparts. As usual, only a small part of all the research I did was ever used, but I ended up with a lot of information to store away for possible use in the future, having got happily sidetracked along the way. So, what interesting things have you discovered in your research when writing - or indeed reading? Have you unearthed any interesting objects from history or your own heritage, and do you get as easily sidetracked as I do? The most cliched comment in the UK at present will almost certainly include the word 'ark', as we've had almost non-stop rain for about three months. As an introvert, I'm not the greatest fan of real summer, which, with its blue skies, sunshine etc, keeps pulling at me like an irritating child, but this greyness and endless rain is something else. However, it has made me concentrate on my latest publisher's brief - a challenge involving subverting some well-known and excellent texts. Work completed (or probably not - is it ever?) I really would like to sit in my garden (at present very soggy) and enjoy some sunshine. 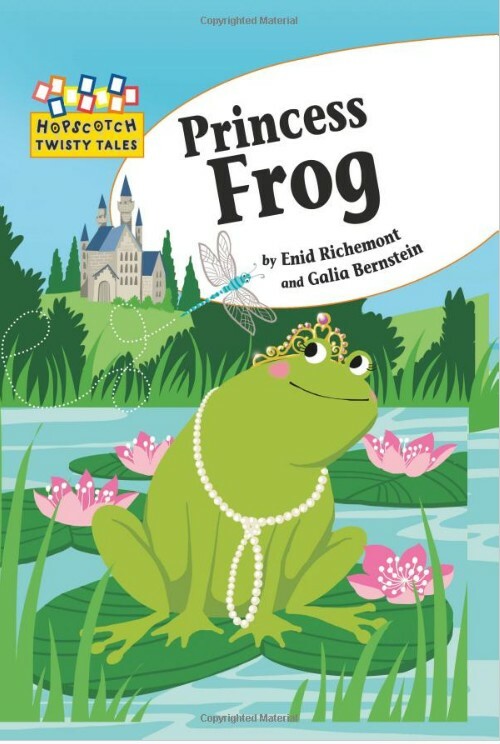 My latest book - PRINCESS FROG - is just out, but I have yet to receive my author's free copies. Seeing and holding the actual book still feels like the culmination of the creative process, so what about ebooks where the words are everything and the material object doesn't exist? 'Real' books still draw me, but words and illustrations are ultimately what matters. Question - what is a real book? Discuss. Talking of ebooks, I decided, on July 15/16th, to offer a two day free promotion on Kindle of two of my books in which animals are the main focus - one a cat, and one a dog. DRAGONCAT is set in a real North London Chinese supermarket, and involves a kitten who is not quite like other kittens (cover image by David Richemont). 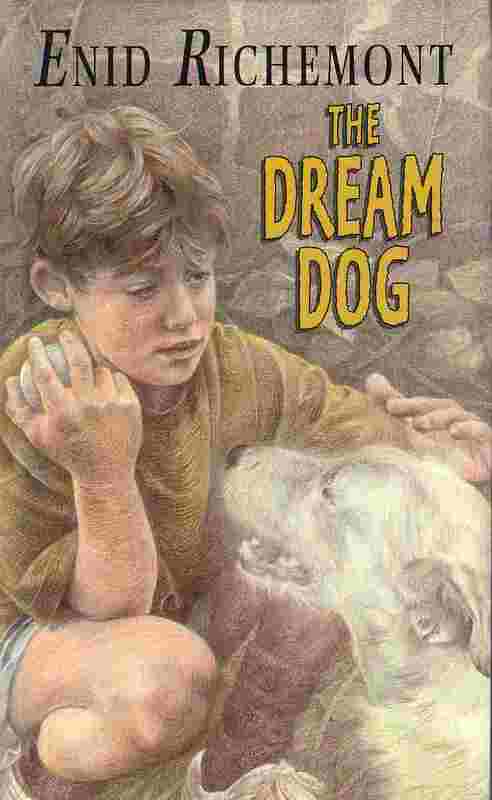 THE DREAM DOG is a sad/happy story involving a boy who desperately wants a dog, and a couple of unpleasant people who definitely don't deserve one. Jennifer Eachus did the original cover image of the wistful boy - quite beautiful. The book was translated into Japanese, with beautiful, soft pencil illustrations. Offering work briefly for nothing takes a leap of faith (apologies for yet another cliche, but it did seem appropriate).The amazing result of this exercise was well over 1000 downloads for each book! 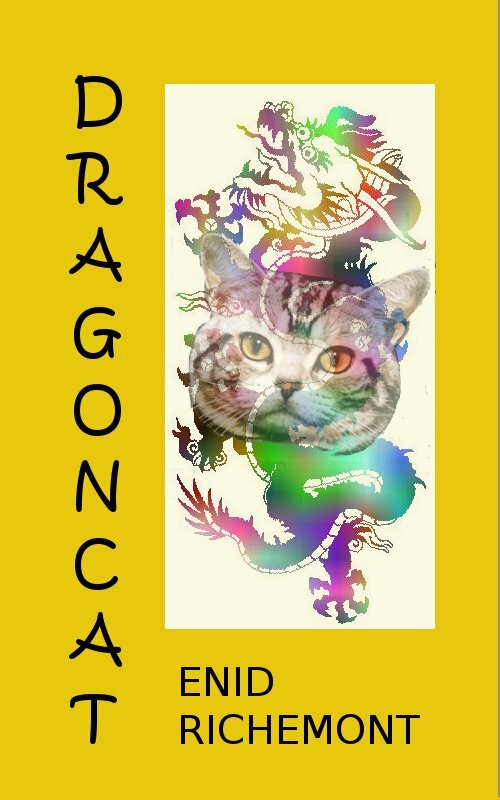 DRAGONCAT was never traditionally published, but THE DREAM DOG was, and did very well at the time until it was put out of print. Where do these books go from there? I will let you know. Much food for thought in all of this, I feel, for any serious professional author considering e-publishing. 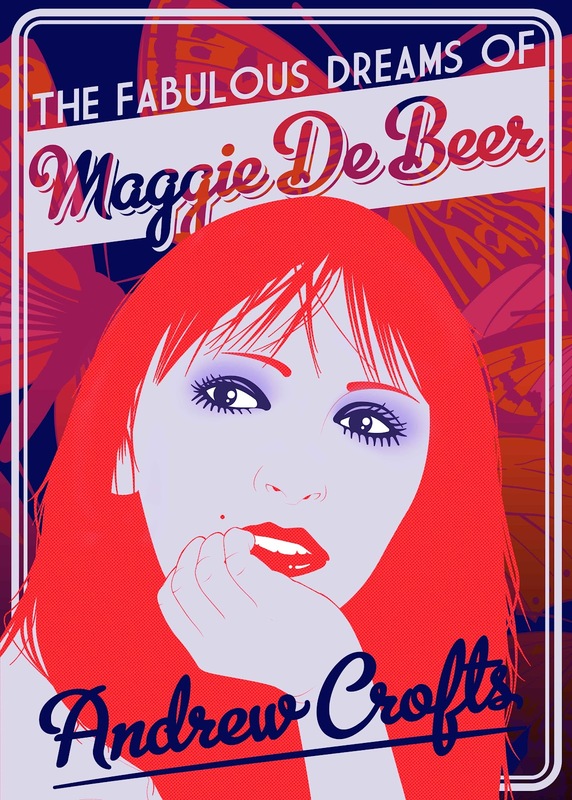 I have now had my book “The Fabulous Dreams of Maggie de Beer” up on Wattpad for around three months, so I thought it might be useful to scrutinise the figures. The ultimate aim of any writer is to have their work read and www.wattpad.com allows you to see actual reader numbers, chapter by chapter, (and provides a new addiction just as time consuming for an author as the compulsive checking of the Sunday Times and Amazon bestseller lists). Maggie de Beer is divided into eighteen chapters and more than 150,000 individual chapters have currently been opened by readers. When Wattpad acted as gatekeepers and put the book on the first page of their “Featured” list, (a bit like being on the front table at Waterstones), the total was rising by over 6,000 hits a day, which means that around 250 people were reading a chapter of the book every hour of the day somewhere in the world. After a while the book slipped to page two of their Featured list and the rate of hits instantly halved, bearing out the theory that many people never go beyond the first page of results or recommendations when they are searching and surfing. So, those are the numbers of chapters read so far. Closer examination reveals that over 15,600 people have now read the first chapter, more than 8,500 of them were then tempted to open the second chapter and close to 8000 have made it all the way to chapter eighteen, (presumably some are still working their way through at any given moment). It seems therefore that around half of those who open the first chapter to browse decide they would like to read the whole thing. Does that reflect the number of people who decide to buy a book in a shop or on Amazon after browsing an opening chapter? It doesn’t sound impossible, although of course with Wattpad there is not the barrier of having to ask the reader to pay, so maybe it would be better to compare these conversion figures with those of library users. Wattpad, which is most easily described as being “YouTube for writers and readers”, has a body of people who currently read more than nine million chapters of books on their phones or computers every month. I’m guessing that compares pretty favourably with the numbers of people taking books out in public libraries, and I am also guessing that they are a much younger age profile. They are, in other words, the future of reading and writing. I am still a beginner. There are some books which have had millions of chapters opened by readers. 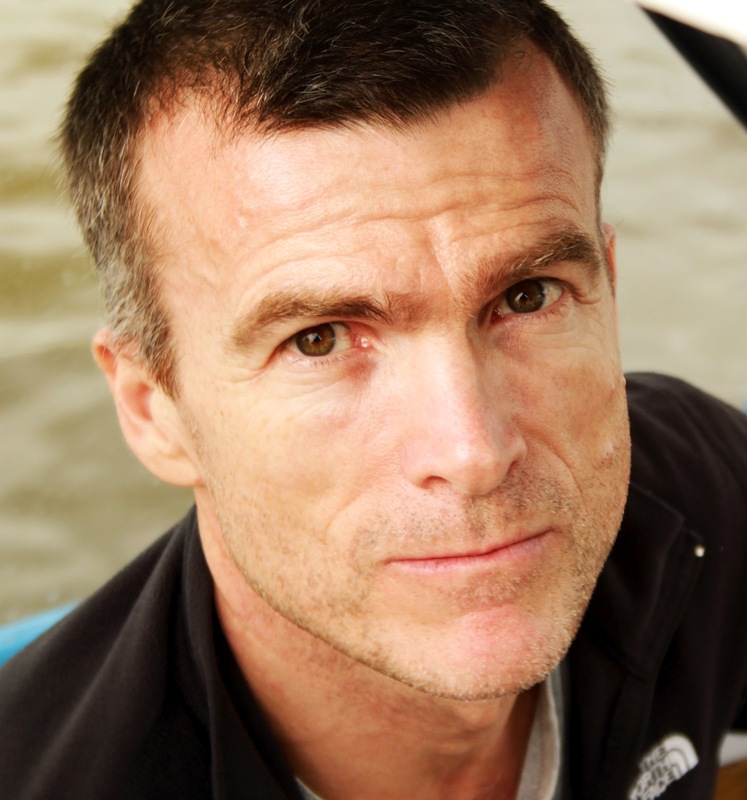 One managed eighteen million and landed a traditional deal with Simon and Schuster as a result. They provide a clear picture of genres that most people want to read - vampires, werewolves, high school romances, fantasy, thrillers and sci-fi – much as in the traditional publishing world. There is, however, a variety of other material starting to make its way into the “Featured”, “What’s Hot” and “What’s New” sections, and Margaret Atwood – always one who likes to experiment with new technology – has joined in with a book of poems. Is it me or is this a very interesting development indeed? A revolutionary friendship - virtually. I’ve never met Rosalie Warren (I couldn’t actually since she’s a pseudonym) and I’ve never actually met Sheila her alter ego (a ‘real’ person.) 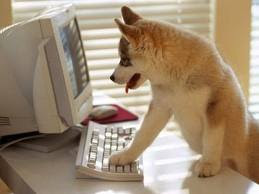 But we have become friends thanks to the magic of cyberspace. That is the ‘virtual’ world in which increasing amounts of the ‘real’ world are now framed and constructed. And because we’ve become friends I offered to do her post for her today while she brings herself back to the ‘social’ place following bereavement. I feel our society doesn’t ever allow people the time and space to grieve and I’m very pleased to be able to assist ‘a friend’ by hijacking her post for the revolution! And in tribute to the day I’d like to talk about another revolution being born. A revolutionary friendship. Since I first ‘encountered’ Che Guevara aged 14, I have studied, researched and generally obsessed over Guevara and consequently over Cuba. [click here for 1999 youtube example] In fact Guevarist economics might be just my Mastermind specialist topic! Guevara and Cuba have been a central part of my life and yes, of course have found their way into my creative writing. What has this to do with Sheila/Rosalie? 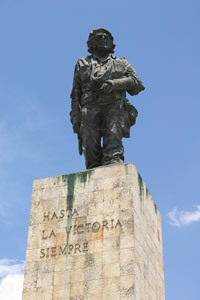 (who on her own admission knows next to nothing of Ernesto Guevara de la Serna (to give him his full title). Well, plenty. I first ‘encountered’ Sheila/Rosalie in connection with her novel Coping with Chloe. Someone had suggested it might make a good play and she didn’t really know where to start. I suggested she solicit help from a playwright. I am/was a playwright! She joined the dots. She offered, very professionally to pay me for my services. I declined. I was offering a free exchange. A voyage into friendship. A barter relationship in accordance with my Guevarist moral incentives principle (revealed in this story A FISHING LINE). It would still be a professional relationship, but I didn’t want her to pay for something I wanted to give her for free. I suspected there were things she’d be able to do for free in return. The dangers of this system of course can be that everyone feels put upon and ‘gives’ more than they’d like. Don’t get me wrong. When I deal in contracts I like to have watertight contracts. But when I’m working with friends I like the virtual handshake of friendship to be my contract. Something told me Sheila/Rosalie would be a friend. And would be able to offer me something more precious than money in return for my help/advice/expertise in the playwriting arena. How right I turned out to be. We started to ‘get to know each other’ by reading each other’s works (as well as copious emails of course). 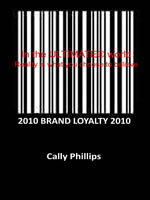 S/R read and reviewed Brand Loyalty (because she liked it and ‘got’ what it was about. And we discovered that we had many things in common. We both lived in Monifieth (small village outside Dundee) for a time. We both lived in Edinburgh for a longer time (and I’m completely sure that we will have either sat next to each other in the theatre or passed each other in a bookshop or some such without knowing it, such is the fickle finger of randomness/fate) and we both have an interest in metaphor and structure. This is where S/R and Che Guevara tie in. Because the underlying ‘truth’ questioned in Another World is Possible is whether Roisin actually is the love child of the ‘great’ man. And when S/R had finished her read, she did what you wish every editor you’ve ever met would do but usually doesn’t, offered me some questions and thoughts which enabled me to take a whole new path. And all for no money! I got the view of a writer I trust and the opinion of a person I trust, doing what I’ve never been able to trust an editor to do. 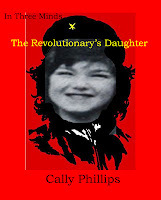 next up is The Revolutionary’s Daughter. S/R even gave me the title. 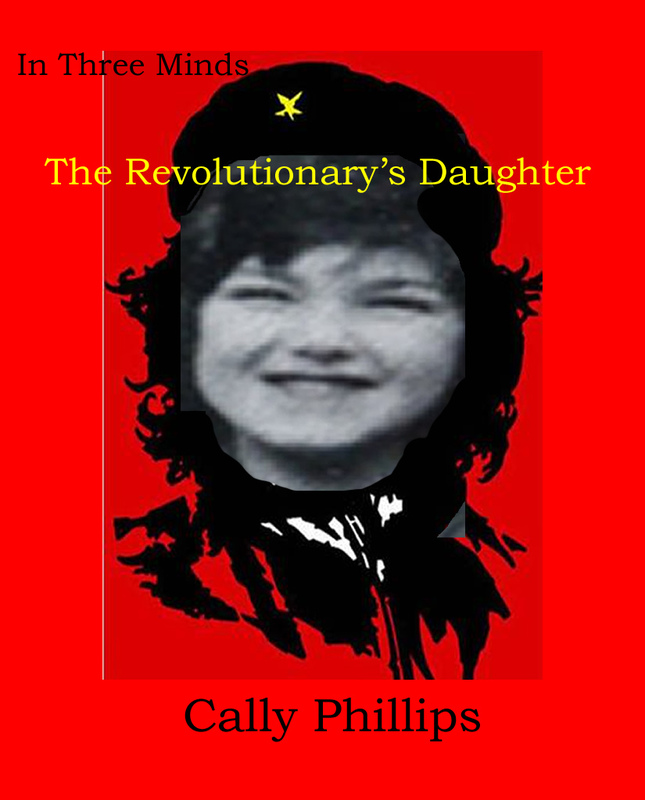 Who is the revolutionary's daughter? And give me a good title and I’m up and running. Roisin is (whatever truth you believe) the revolutionary’s daughter and metaphorically of course, so am I. I am excited about this and already writing the first draft in my head while revisiting research areas needed before I’m ready to start committing myself to virtual paper. And if that’s not enough S/R further helped me by introducing me to the work of B.S.Johnson who ‘played around’ with structure in a lot of ways I’d been wellying on about. Reading his work offered me the chance to ‘see what works’ or what I thought about some of the things I’d proposed to do. Saved me a lot of time trying, failing and reworking my own writing in ways that would ultimately turn out not how I’d want them. And gave me a lot to think about. That’s a true friend! I don’t think what either S/R or I have given or taken from each other has been costly – it’s all been part of the emergence of a friendship which while virtual (we’ve still never met, though I’ve heard her voice on radio!) is strong and ‘real’ and I think stands as a testament to how writers can work together in roles of editor/script editor or however you like to ‘identify’ them. When people know their ‘business’ and trust each other sometimes you don’t need to make a financial arrangement. Some things are beyond price. So I would really like to thank Sheila and Rosalie for everything she’s given me thus far. And point out that in the future people are bound to recreate this story to suggest that we are just ‘pals’ bigging each other up. (For example when I review Charity’sChild on IEBR in August). It didn’t start like that folks. We didn’t know each other. We’ve still never met each other. But we found things in common and ‘get’ each other’s work and so can work together creatively. We have formed a loose creative partnership. If we were paying each other money and giving each other titles such as ‘editor’ no one would get hot under the collar. I suggest that in the indie world it’s possible to bend the ‘rules’ without losing the ‘professionalism’. It’s an established story that editors/agents etc ‘become’ friends. Sometimes you need to look at the other perspective where friends become ‘editors’ and ‘reviewers’ (etc). You can purchase the following (UK Amazon links) while waiting for our new books! Advice to the lonely or lovelorn often says, ‘Get a dog.’ Reguarly walking the beast means they make daily circuits through the park or across the common, where they meet other people and dogs doing the same thing. People who would never otherwise speak to a stranger will stop to pat a dog, while other dog-walkers recognise another dog-lover. They nod, smile, say hello, ask about your dog – and tell you about theirs. If the dogs are friendly, you walk on together – and part with a wave and, ‘See you tomorrow!’ A new friendship has begun. I would suggest that, as an alternative, which doesn’t need walking in cold, wet weather, or taking to the vet’s, you get a kindle. 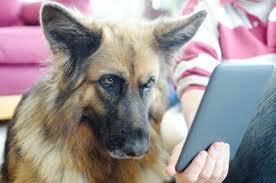 It won’t guard your house, or fetch sticks, but, much like dogs, kindles seem to attract admirers wherever they go. Kindles are loved even by Alsations! If I send out a signal, it’s, ‘Go away!’ I am seldom troubled by people who just want to talk. Yet, since I bought my kindle, I increasingly find myself talking to strangers. The kindle’s allure defeats my naturally forbidding aspect. Yes, you can, and more and more will be available in the future. The whisper was so loud – so unwhisper-like – that I wondered if I was supposed to ‘overhear’ and say, ‘Oh, do you want to have a look at it?’ I was hesitating about whether to say it when my agent arrived, so the colonel remained unenlightened. The kindle has become such an ordinary part of my life, that I’m always taken aback when people greet it with such delight, want to pat it and see it perform its tricks. But to many it still seems to be well, an unopened book. So, if you want to talk to people, get a kindle and read it in public. Then you can happily demonstrate it to the curious who will flock to your side, and you will learn much about their families’ reading habits. You can talk about the books you have loaded on it, the books you intend to load on it, and the books you might load on it if a good case is made for them. The hours will fly past. And if you hit a bad patch, and no one comes to talk to you – well you’ll have a bookcase of good books to read in your hand. Susan Price is the award winning writer of the Ghost World trilogy, Ghost Drum, Ghost Song and Ghost Dance. 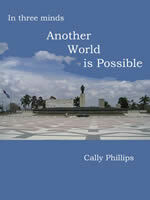 And her website, with much more information about her books, is here. A Monday morning knock at our door three weeks ago brought the surprising news that our home was in danger of “sudden and catastrophic” collapse and life as I knew it evaporated. We decamped to a nearby hotel and friends, rallying to the bar at cocktail hour, started calling me Mrs Self. I’m not a stranger to uncertainty but the general feeling of limbo, of being away but just a short walk from a home that might topple over, takes some getting used to. Life goes on of course and I'm trying to keep my mind on the advantages: a sudden, completely unforeseen withdrawal of housework, supermarket shopping and cleaning for starters. The abundance of folded white towels, bath robes and slippers. A gym, newspaper delivery, interesting Olympic-related lift encounters etc etc. My old Mac was too huge to unplug and lug all the way here, though I did certainly contemplate doing just that, and I miss it dearly. I’m still getting to grips with working from a PC laptop using the frustratingly slow hotel WiFi so please excuse lack of proper editing and accompanying images in this post. As with many unexpected turns of fate, it’s a situation of highs and lows, which is just how, in a recent interview, I described the writing life. It seems to me that no matter where you are on the scale of things, it’s a rollercoaster, a zig zag of ups and downs. Both the process of writing itself, and then with the whole business side of it all. Be it dealing with publishers and agents or the technicalities of self-publishing and sheer economic survival. If you’re just starting out, writing privately just for yourself, you face the hurdle of showing your work to somebody else for the first time. If you’re an established author you have the job of making your next book as good as your last to keep your readers coming back for more. That used to include keeping your publisher and agent on side as well, but now we have the means to reach readers directly, at least that one isn’t as precarious and unpredictable as it used to be. How your books are received, whether they’re noticed or ignored; if the reviews coming in are ecstatic, good, mixed, or bad, whether your publisher is feting you at fancy restaurants or not taking your calls, you have to learn to deal with it. It was never meant to be easy. The immensity of the challenge, to make a living out of a creative art, means the highs are right up there. Which, of course, then makes the corresponding dips, when they appear, harder to deal with. The best advice I ever received was to, first, join a writing group, and then, simply to keep on writing no matter what. Don't look back. It’s the writing process itself, the buzz that kicked-started you into writing in the first place that matters most. On top of that there is a massive bonus: the steady continuum of support from other writers. At my first beginner’s class I loved discovering the work of others. Reading out for the first time myself was a major challenge. Hearing feedback from the teacher and classmates was an important moment. Then I started squeaking up in class and giving feedback to others. I know writing groups aren’t for everybody, but I found that learning to be honest and constructive without offending helped me evaluate my own material, pushing it on into greater truths. Bonds were formed, friends made, other groups took shape when official classes ended; small critique groups, pub nights… The support from other writers at the peaks of the highs (party party party) and lows (rejection rejection rejection), and supporting others in turn, has been an important part of it all for me. Then the internet came along and a whole new world of writers chatting to each other exploded. 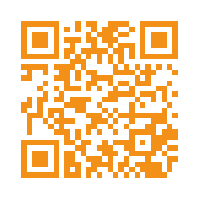 I now work online with a small group of writers who publish through my website Blackbird Digital. I count the ex-Transworld/Blackbird travel author Susie Kelly, who I’ve only met briefly twice, as a good friend. I think everybody who is lucky enough to have her in their life feels like that about her though, she’s hugely kind, talented and a very funny writer. Filtering out the good online groups takes a bit of doing, one of those internet things there’s never, ever time for. It’s more the ones that leap out for some particular reason. This AUTHOR'S ELECTRIC group of UK indie authors is such a wonderful discovery because I was finding so much ebook online business/writing chat was US-based. Even more recently, I’ve joined the Alliance of Independent Authors, formed by UK-based indie author Orna Ross. I noticed them after reading The Bookseller’s recent article on their collaboration with A M Heath’s foreign rights agent Jennifer Custer. This sounds like a very good thing. A great sign that links between the traditional world of publishing and the new are developing for mutual benefit. In 1999, my first three published books were collected together in a single chunky paperback entitled Jeremy Brown: Secret Agent. Eleven years later, with the book long out of print, I re-read those stories, went "eurgh, rubbish" and extensively revised them before I produced a new, self-published and much better edition entitled Jeremy Brown: Spy. Now then, guess which edition is always higher up the Amazon sales ranks ('cos it's 1p second hand, I suppose), and is the default edition at everything from Goodreads to Waterstones (despite endless pleading), and is the only edition which ever gets commented on at everything from Goodreads to Waterstones. Correct! The toe-curlingly awful one, the out of print one that wouldn't earn me another penny even if it topped the bestseller charts. Why is it that, if you're a self-employed writer who works from home, everyone thinks you sit around all day popping Thornton's choccies in your gob and wondering whether you'll plump for Cash In The Attic or Jeremy Kyle today? 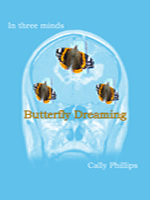 Who the bleep do they think writes my books, the Prose Fairies? It's not that I mind driving me mam to the doctor's, or picking up stuff from Argos for my father-in-law, or doing the website for the pre-school where the Mrs works, it's the assumption that I've got time for these things. Loads of people work from home, why are us writers considered to be wandering lonely as a cloud all day!?! You know what I'm talking about. Jan Needle mentioned them the other day. The Thingummy Codes and Twonklights of this world, the stuff which seems to have been assembled from random letters by council jobsworths. I mean, they even had Fifty Shades Of Bleep on The One Show the other week! For crying out loud!!! Jealous? Of course I'm jealous. I've got 20-odd books out there and I can barely pay the gas bill. I think we should start Writers For Justice, dress up and swing from Big Ben in a campaign for better bestsellers. When good books do well, I'm delighted for their authors, I really am, but illiterate garbage just makes my blood boil! What's the MATTER with people??... A-hem. Think happy thoughts, happy thoughts, I'm in my safe place, aaaand relax... I've come across two or three articles online recently which address the megahits mystery, including a very good one by Danuta Kean. The current theory is something about these books tapping into the zeitgeist, but... well, loads of books do that, don't they? I've often thought to myself: "stop being a book snob - if you can't beat 'em, join 'em"! And I've tried. I've tried tapping out a zeitgeist-y blockbuster myself, more than once. I've even got one listed on Amazon at the moment (under a pseudonym!! 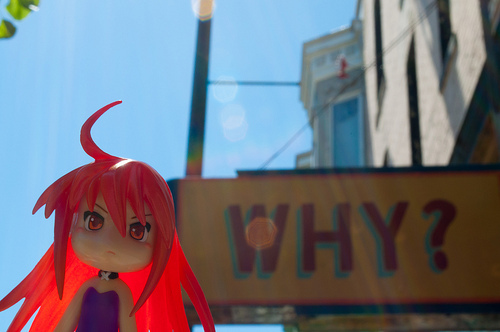 ), and its sales are pitiful. I just can't cut it, clearly. bestest friend ever if you buy his ebooks. Print? Why bother? The eBook revolution is taking over, any self-respecting indie-author knows that - eBook revenues doubled in 2011 to over $2 billion in the US market. If they do so again in 2012, then by this time next year eBooks will have over a third of the publishing take. 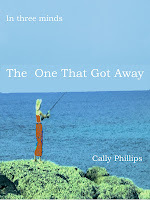 And it's the eBook that has enabled the self-publishing revolution - Smashwords.com and Amazon's KDP program have led the way in allowing individual authors to compete on a more or less level-playing field with the big publishing houses. Author's are dreaming of electric books, it's why we're all here - so, why bother with print for your self-published book? I had a pretty good answer to that question until about six months ago - don't. While there's no doubt that seismic shifts are taking place in publishing and that within a few years the eBook will dominate, just flip that opening statistic around and you'll see that over two thirds of books are still sold as print editions. It's an awful big chunk of the market to turn your back on. So, a few months ago I started looking at the Print-on-Demand or POD suppliers - these are the people who take a file (usually a PDF or two) of your book and print a single edition whenever someone buys one. I decided to go with Amazon's CreateSpace programme, not least because I'd been so happy with the Kindle Direct Publishing experience for my eBooks. But there was lots of advice to that end, notably, Dean Wesley Smith (who also makes the case for print publishing in more detail), David Gaughran, and Jen Talty. I also researched formatting it myself, but in the end I followed David Gaughran's advice and got Heather Adkins at Cyberwitch Press to do it. I had to go back to my original cover designers to get a higher resolution image, but I was able to put the rest together inside CreateSpace's cover-building program. There is the cost of the proof, and I coughed up the $25 for the expanded distribution program, but in total all of this came to about US$100 and a couple of days work. And the result is fantastic. I was so pleased with the proof of The Fulcrum Files that I went straight-ahead and put The Defector and The Wrecking Crew back into print with CreateSpace. The only difference to a trade-published edition is that you can't get those lovely matt, waxy covers that are all the rage these days - they only come in gloss. Otherwise, if you put the care and effort into the preparation then the proof copy that drops through the door will be a delight. The downsides still exist though, the price to the customer is high. I can't sell the books for less than the £7.99, £8.99 and £9.99 that I've priced them at - but at least they are available for those people who haven't, and perhaps won't shift to eReading. And having the price comparison does make the eBooks look cheap, which is not a bad thing. The first monthly royalty cheque got me well over half of my investment back. I should clear the rest this month - and that's without the sales from a recent book launch for the print edition (at the pub that featured in the novel) netting a three-figure profit. So while I'm still very much dreaming of electric books, I no longer have nightmares about printed ones. In 1990 I started writing a novel called ‘Telling the Sea’. I’d had success with my first novel, Midnight Blue, and my publishers were on at me to write a sequel. I’d sketched out some rough thoughts, then gone on holiday. I had a young family of five children, a weary husband and a hyperactive, far-from-weary dog. We took ourselves down to the cottage where we always went on holiday, in Pembrokeshire. Only a three-hour drive from home, it was the easiest thing to do. We knew the place. We knew where to find the best baker, butcher and fish & chips. We’d been going down there for years, which meant the unwinding process didn’t begin on Day Three – it began on the journey. We only had to get over those Cambrian Mountains, heading in the direction of Aberystwyth and the long road down the Welsh coast, and the unwinding would begin at our first glimpse of the sea. I was there in the same cottage last week, working on the kindle version of ‘Telling the Sea’. Twenty-two years ago, I didn’t have a laptop, and the idea of bringing my buzzing Amstrad would have been unthinkable – as indeed would the concept of an ebook. The world has changed, but not at Cwm Dewi, the cottage I immortalized in ‘Telling the Sea’. That’s one of its charms. The flowers growing in the garden are unchanged, the same trees spread out their shade, the same shabby but much-loved armchairs decorate the living-room, set around the same wood-burning stove. And the same standard lamp still illuminates the scene with the same blue plastic shade. This is a place where I feel safe. My life has had its ups and downs, and has the scars to prove it. And Cwm Dewi, too, could say the same. It’s withstood fire, flood, summer heat, winter storms, infestations of moles under the living-room floor – even my husband, Dave, and I, and our family. But every year, as we drive down its bumpy track and park next to its stone-slab bridge, it stands unchanged - a memorial to durability as well as to our family’s growing up, so that now it’s grandchildren toddling through the door, not little ones of our own; a whole new generation making Cwm Dewi their home-from-home. And here I am with ‘Telling the Sea’, all these years later, editing it afresh not only for a new generation in my family but new readers too. I’m sitting in the same living-room where Nona’s fragile mother finally freaked out. I’m up at the window-sill where Nona sat looking down the common, all her secrets locked inside her, not knowing what to do. I’m cooking in the kitchen where Owen’s rabbit was gutted in real life, courtesy of a friend who knocked us up one midnight with road-kill in his hand, knowing I wanted to see how it was done. Those people could be with me now. I see Nona’s mum at the sink, having taken as much as life could throw at her, head bowed as she finally loses her grip. I see her five children screaming and leaping all over the house, each with the face of a different dad, none of whom is still around. I see oldest child, Nona, aged beyond her years from trying to be sensible, feelings welling up inside her that can only be told to the sea. And, up the village, beyond the common and the trees, I see the Lark family, whose sad son Owen becomes Nona’s friend, and Harry Llewellyn, who lives in a secret caravan and sculpts fairground horses, and Griselda camping in a tent she’s been living in for years. So much I love is in that book. I never wrote that sequel to ‘Midnight Blue’. Returning home from Pembrokeshire, a new story started writing itself. The notebooks which I always carry when I’m in ‘new book mode’ kept filling up with it. ‘Telling the Sea’ is a story that insisted on being written. And I loved the entire process. For the year it took to write, I was captivated to the point of obsession. We visited the cottage in the autumn and again at Christmas, to see how much was changed down there by the winter months. A friend charted the common for me, between the cottage and the beach. She recorded every plant that died that winter, and when, and where; every plant that survived; when new life started creeping into the common; when the sun reached down it too, lighting up Cwm Dewi after the winter months when it stands in shadows, with just the common for company and the beach. I’m often asked which of my published books I care for most. Over the years there have been eleven of them, so this is a difficult question to answer. Usually I say it’s whichever book I’m working on now, caught up in the creative process. Certainly all of them have claim to my affection for their different reasons, but the one I loved the process of writing most was ‘Telling the Sea’. It was sheer joy. I’d written ‘Midnight Blue’ to prove to myself that I could write a novel. Now this second novel had nothing to prove. It could just be. When I dropped the manuscript into the postbox [yes, that’s how long ago it was; back in the days when there was no access to the internet] I felt as if it was on fire. I didn’t want to post it. Writing is its own reward, particularly when it's going well. I wanted to keep on at it and never stop. Perhaps that’s why I’ve had a gentle go again, here in Cwm Dewi at the kitchen table while my husband and grown-up children sleep upstairs and the house waits for the grandchildren to come bursting in. I felt the book needed brushing up for a new generation of readers, but perhaps, as much as anything, it needed brushing up for me. It’s a better text now. A tighter text. I haven’t cut out stuff, nor have I added, but I have most definitely tidied up. If you’re a writer you’ll know what I mean. I expect nobody who’s ever read the book will see the difference. But I can see it, and I feel as if, by bringing it out in kindle for the ebook market, I’ve not just given the book new life but a whole new set of clothes. The process isn’t finishing though. 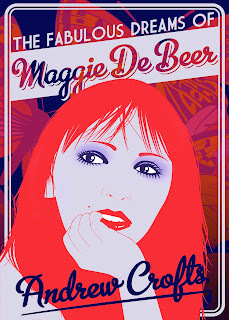 I have my cover artwork, courtesy of good friend and Shrewsbury artist, Pete Jones. But my manuscript still needs formatting for kindle at a time when the coming weeks and months are scheduled to be busy with other things. But do look out for it. Remember that name - ‘Telling the Sea’. At a guess, I’d say October will be its month. But July’s been my month, going down to Cwm Dewi, that good old, same old place, and working on my good old, same old book, which I never wanted to let go - and here it is again. This time last year I sent a tweet that said ‘after so long ghostwriting, this book’s for me’. I was preparing to self-publish my first novel. 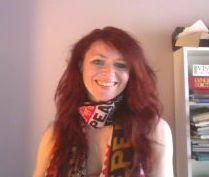 In the sunny land of tweets, I was keeping up a front of jolly emancipation. Behind the scenes, all was frantic. I’d done a last edit that turned drastic. 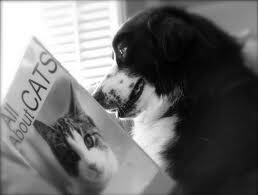 I was pleased with it but my first advance reader bawled me out for my robust treatment of reincarnation. Although we’re now great friends, this was not reassuring. I had no clue how to market the book, but if I aimed at the wrong readers there’d be hate mail. I was blogging about it here and there, attempting to sketch my multilayered story in a thumbnail. Each time it sounded like a different book. And as for a back cover blurb? I was totally failing to write one that grasped the novel satisfactorily. But flap copy was a detail because I had no front cover. I was designing roughs and hated the way they were going. Even if I was going to use a designer (which in the end I didn’t), I had to give them something to start with. Those troubles eventually passed. But they were the minor half of the battle. This time last year, professional authors who self-published had a lot of explaining to do. I launched My Memoriesof a Future Life at the end of August, but my campaign really began four months before that, in April. Not to promote the book; I didn’t even mention it. I needed to make my co-conspirators in the writing community understand why an author with two agents and previous bestsellers had to self-publish her novel. In post after post, I laid the groundwork. What the industry is like. Why ‘new’ authors - or old ones without their disguise - can’t get a foothold. Why publishers say they want ‘originality’ and shrivel away from it hissing. Elsewhere on the ether, other authors - who had sworn they’d never self-publish their fiction because it would blitz their credibility - were conducting the same careful campaigns. Were we being paranoid? Apparently not. An author and writing tutor told me off, saying I shouldn’t admit I’d got an ‘unsaleable’ novel, especially as I have another on submission. I no longer feel I have to explain why I self-publish. But there’s still an old guard who wants to keep us as second-class writers. Plenty of literary competitions and review sites specifically bar indie authors. Just this week, Porter Anderson’s column Writing On The Ether was tackling the subject of professional bodies that exclude (or seem to) indie authors. And will the reading public, gorging on EL James, ever expect anything more of us than a good spank? 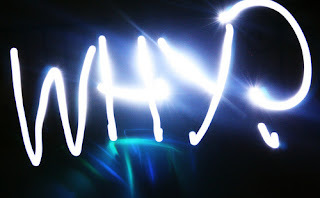 Do you feel you have to explain why you self-publish? What do you think are the biggest battles we face now? 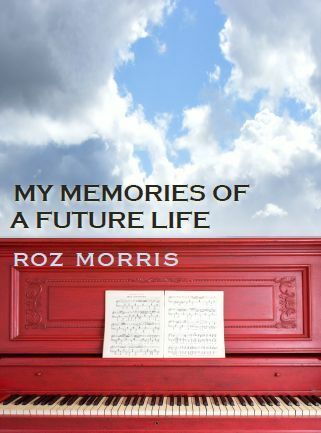 Roz Morris is a bestselling ghostwriter and book doctor. She blogs at Nail Your Novel and has a double life on Twitter; for writing advice follow her as @dirtywhitecandy, for more normal chit-chat try her on @ByRozMorris. 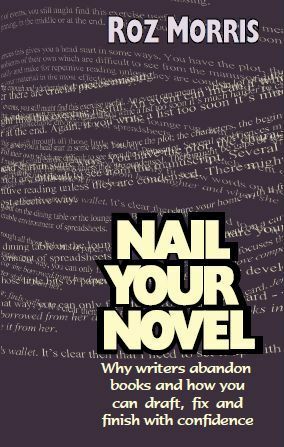 Her books are Nail Your Novel: Why Writers Abandon Books And How YouCanDraft, Fix and Finish With Confidence, available in print and on Kindle She also has a novel, My Memories of a Future Life available on Kindle (US and UK) and also in print. You can also listen to or download a free audio of the first 4 chapters right here. 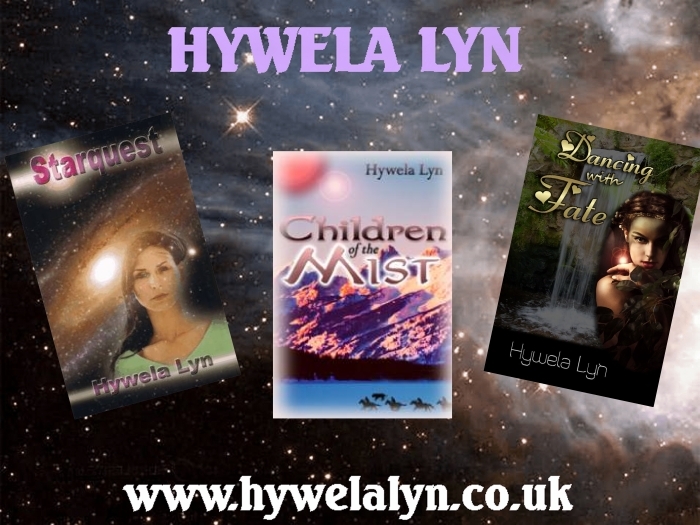 I want to talk a bit about the different genres of my published books. I have 3 published novels on sale, one paperback and two e-books. Dead Wood and Night Watcher are dark crime novels which some readers describe as scary, although I don’t necessarily agree with this. Maybe I’m immune. This sticks me in the crime writer genre box. However, I have also published my historical family saga, A Salt Splashed Cradle, and two books of short stories which include horror. So which genre box am I in now? So what’s with this genre box thing? Well, an author who is lucky enough to acquire a publishing contract is immediately put into a little box that defines which genre he or she will publish. So if the first accepted book is crime, you become a crime writer. Many authors are dissatisfied with this but find it impossible to climb out of their genre box, which publishers keep firmly locked. With e-publishing, however, the situation can change. An author has the freedom to write in several genres, and provided their book descriptions do not mislead the reader, this can be quite successful. A word of warning, the author should ensure the book that is on offer is accurately described, and the cover fits with the genre. After all, a reader might be a bit miffed if they think they are buying a family saga only to discover it is contemporary dark crime. 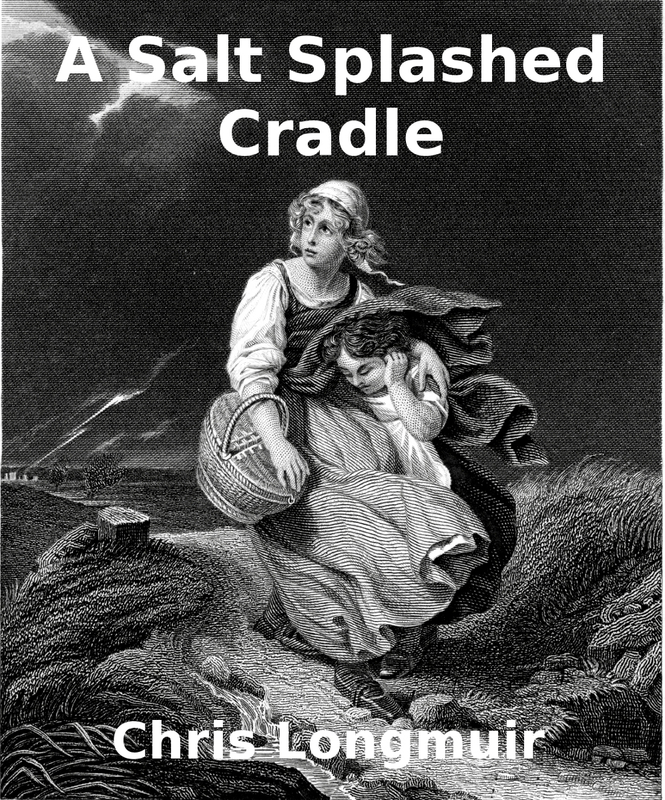 Up until I published A Salt Splashed Cradle as an ebook, I was firmly in the crime writer box. My first novel, Dead Wood, was traditionally published as a paperback after it won the Dundee International Book Prize, so that decided the genre that publishers would be expecting. 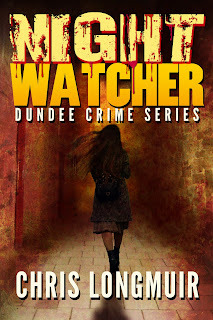 My second novel, Night Watcher, was published as an e-book and has been doing reasonably well. I’m almost finished a third crime book with a theme of internet predators. So what happened to make me do a side swerve into historical family sagas? It really wasn’t a genre changing moment for me. You see, ASalt Splashed Cradle was the very first novel I wrote. At the time I was part of the RNA (Romantic Novelists’ Association) New Writer Scheme. This scheme allows unpublished writers to submit a novel each September for them to crit. 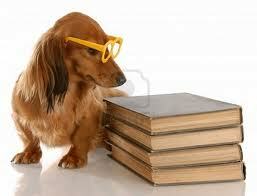 If they think the novel is good enough it will get further readings and then submission to a publisher. Well, A Salt Splashed Cradle almost made it, however it got a rave rejection from the publisher. I think my timing was bad, because that was the year that sagas went out of fashion and several well-established saga writers were dropped by their publishers. So that’s my excuse and I’m sticking to it. 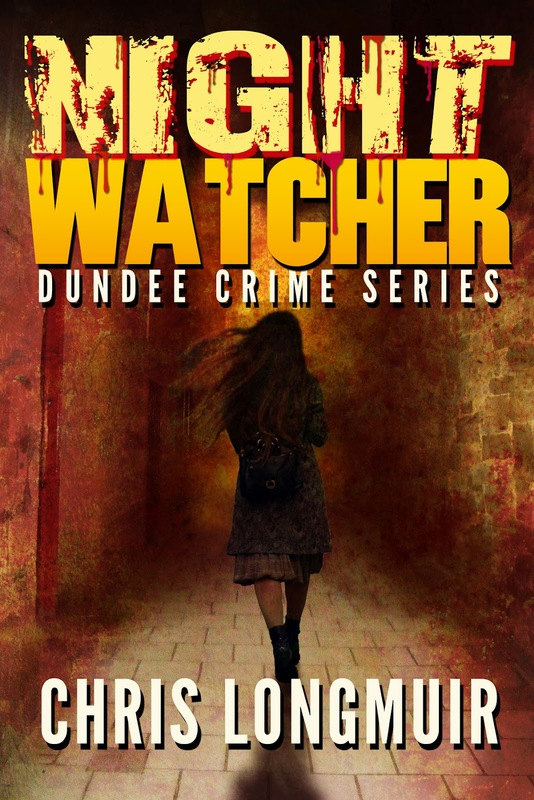 Anyway, after I published Night Watcher as an ebook, I remembered this novel I’d written, way back in prehistoric times and thought I’d have another look at it. So it was dug out of the bottom drawer, otherwise known as my computer hard drive, the place where all unpublished manuscripts languish, and I read it. At that point I realized it was a good story and started on the rewriting, revision, and editing process. The result was, I published it, and was then flabbergasted to discover it had reached Number 41 in Amazon’s Family Saga best selling list by that same evening. Since then it has gone up and down the lists, fallen off the bottom and then made comebacks, similar to what happens with Night Watcher. 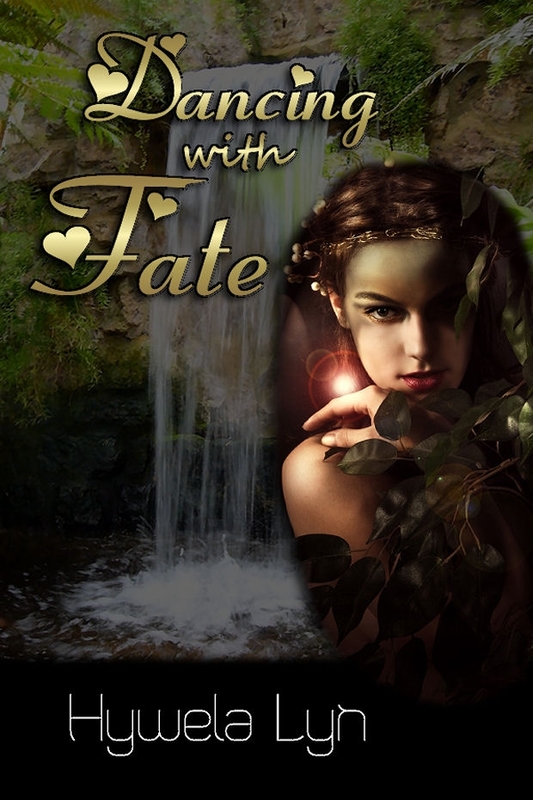 I must admit I have a soft spot for this saga, probably because it was the first book I wrote. 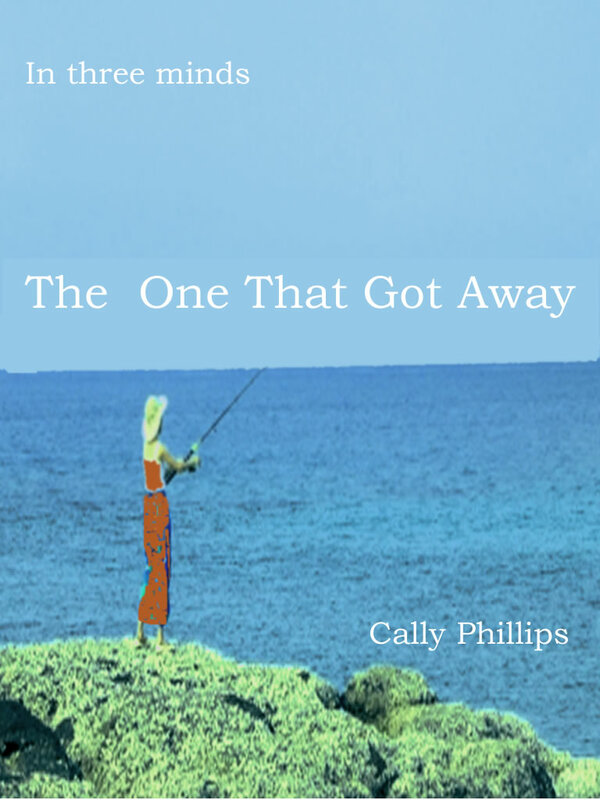 It’s a story about a fishing community, and the effect a young bride has on it when she infiltrates it as the young bride of Jimmie Watt. Back in the 1830s these small fishing communities were insular, they married within their own community and ‘incomers’ were not welcome. So you can imagine the impact that Belle, a town girl who dresses in silks as opposed to the rough woven fisher clothes, has on this community. She does herself no favours when she falls in love with the laird’s son, and becomes ostracized as well as unwelcome. The story encompasses fisher life and traditions, as well as whaling, and the setting moves between the fishing village of Craigden and the Arctic. And that’s all I’m going to tell you. 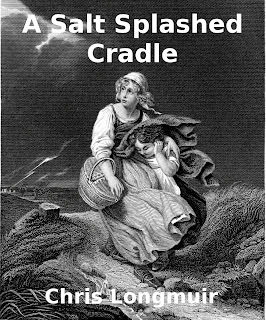 But if you’ve read my dark crime books and want to check out whether I’ve been successful in switching between genres, check out A Salt Splashed Cradle. I think it’s good, but do you? FOOD and Thought by Susan Jane Smith B.Sc.